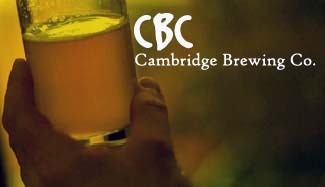 "Our winter seasonal ale is a popular CBC specialty brew, Big Man Ale. Originally brewed in September of 1992 at the request of three bartenders/managers (who have since gone on to great fame and glory) Big Man Ale has been a runaway favorite at CBC ever since!This brawny beer is brewed in the style of a strong stock ale or I.P.A., boasting an unfiltered, copper-colored countenance, and a full body complemented by strong, robust flavors. The grist bill was originally created from the combined total weight of the aforementioned CBC’ers, but, though its rich notes of toasted malt and caramel are offset by very aggressive hopping—it is kettle-hopped with Cascade, Centennial, Columbus, and Amarillo hops and further dry-hopped with even more Centennials and Cascades—the Big Man finishes remarkably smooth and well-balanced. We will be crafting several batches throughout the season in order to keep it fresh and available all winter long. Light amber/brown body, murky appearance with beautiful creamy off-white head. Excellent lacing. Aroma is of sprucy hops, overtaking the malt presence just enough to be dominant. Initial taste is equally sweet and bitter, but the malts retreat at the finish and the hops introduce themselves. Average duration. Light to medium on the mouth, it has an oily to dry texture with gentle carbonation. Reviewed on January 20th, 2007.